Authorities have arrested a man suspected of crashing his car into two girls playing in the front yard of a Georgia home, then fleeing the scene, NBC News reported. One of the girls, 9-year-old LaDerihanna Holmes, was seriously injured in the hit-and-run crash Friday evening. Video of the scene showed a black sedan speed through a stop sign, on the the yard and into LaDerihanna and her friend. Gabriel Jabri Fordham, 28, was arrested Tuesday and faces a felony charge of serious injury by vehicle and four misdemeanor charges, the DeKalb County Sheriff's Office said. A family attorney told NBC affiliate WXIA that LaDerihanna's family knows she's lucky to be alive. 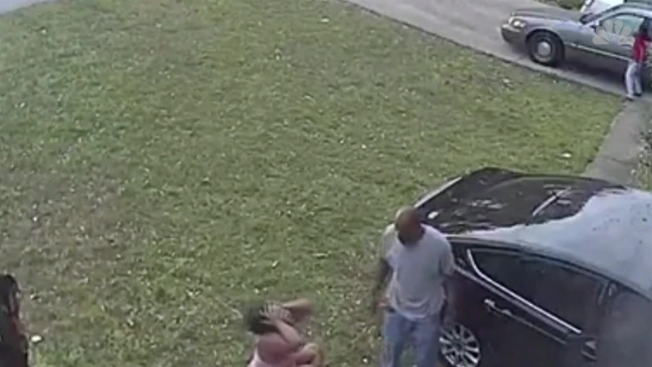 The car "didn't just hit her, it threw her through a brick wall," he said.